THE GREY: Macho Existentialism Is Alive And Well At The Movies – Schlockmania! When you go to the multiplex to see the latest mainstream theatrical release, the last thing you would expect to be confronted with is an angsty existentialist movie about being a man, the cruelty of fate, whether or not there is a god and any other number of perennial un-commercial film themes. 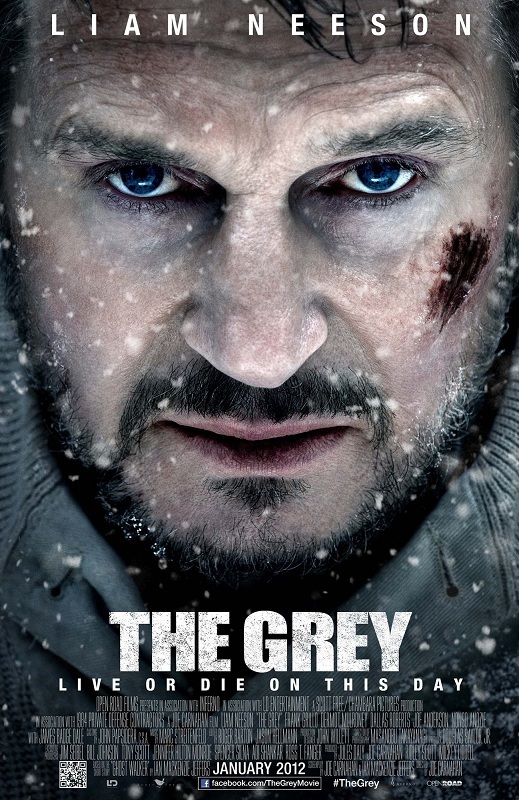 Especially one featuring a bankable lead actor that was packaged like some sort of action flick… and yet that is exactly what The Grey is. It’s probably the gutsiest proposition Your Humble Reviewer has seen at a multiplex since Splice. The Grey establishes its macho angst bonafides early on. Ottway (Liam Neeson) works at an oil refinery, fulfilling the unique job of being a sharpshooter who picks off any wolves who try to attack the oil riggers. On the last night of his latest tour, he writes a letter to a woman who has left him for reasons unknown and goes out in the snow to shoot himself in the head. He stops when hears the howl of a wolf. The next day, he finds himself on a plane full of co-workers that is headed back home. And that’s where the bottom falls out for all involved. 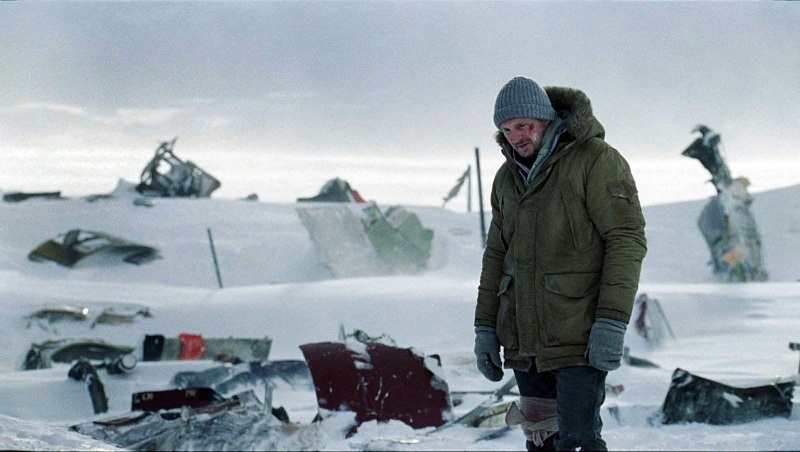 The plane crashes in a desolate, uninhabited part of the mountain range. 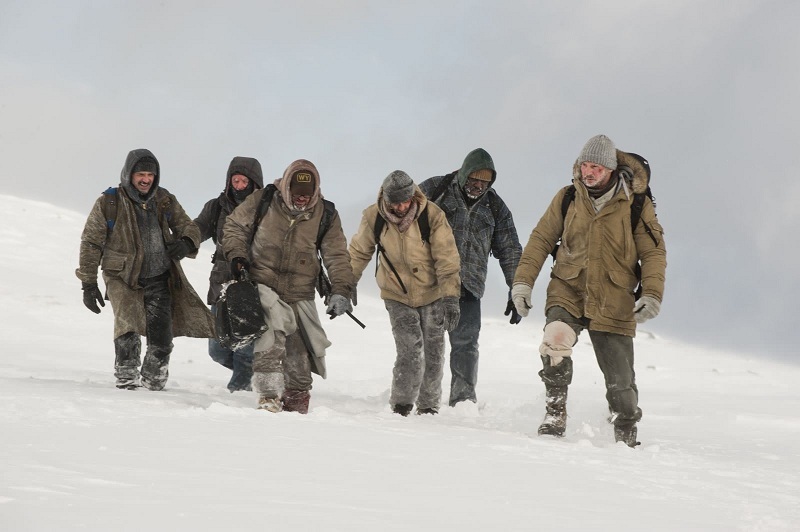 Ottway does his best to organize the stunned survivors as they fight the bitter cold and try to figure out a way to be saved. Unfortunately, salvation is not in the cards: they quickly discover they are surrounded by wolves who start to pick them off when night falls. Ottway and the dwindling group of survivors set out on foot, trying to find their way home as the elements and the wolves fight them at every turn. Don’t let the above synopsis fool you into thinking this is going to be an action-driven tale of survivalism or a rah-rah tribute to the strength of the human spirit. Director/co-writer Carnahan avoids easy temptations like staging a grandiose plane-crash setpiece or an extended man-vs.-wolf battle. Instead, bits like those are staged in a matter-of-fact way that is suspenseful without giving the film over to spectacle. 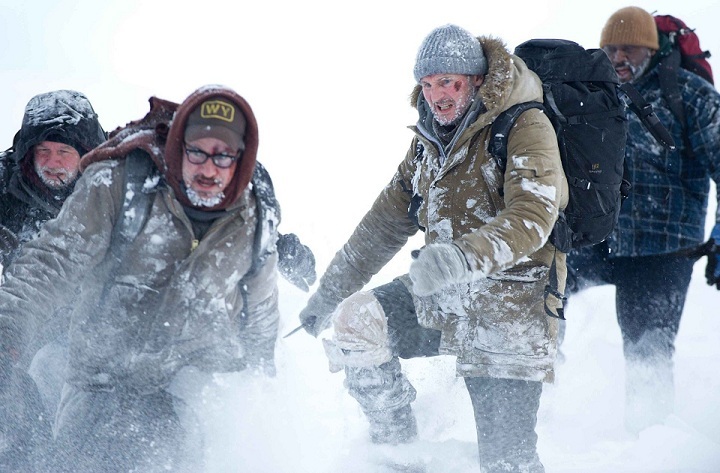 Carnahan is aided well by atmospheric cinematography from Masanobu Takanayagi, who captures both the stark beauty and the grim quality of the icy setting, and a subtle score by Marc Streitenfeld that adds texture without going for cheap emotional ploys. What Carnahan is really concerned with is the psychological component of how the different survivors respond to the situation. The Grey presents its characters with a situation that chips away at their comfort, their security, their illusions and finally, their hope – and then leaves it up to them to figure out how to respond. It would be fair to say that Carnahan does the same to his audience. The dialogue presents the viewer with a variety of things to ponder but doesn’t aggressively push a message, other than the idea that it’s better to be on your feet and fighting rather than living on your knees. The fact that the survivors are all men gives The Grey a distinctly macho quality, transforming the narrative into a kind of “dark night of the soul” for manhood. Everyone on hand turns in performances that are compelling without being showy: highlights in the supporting area include Frank Grillo as an alpha male whose aggressive tendencies are challenged by the situation and Dermot Mulroney as a father whose desire to make it back to his daughter comes back to haunt him in an unexpected way. 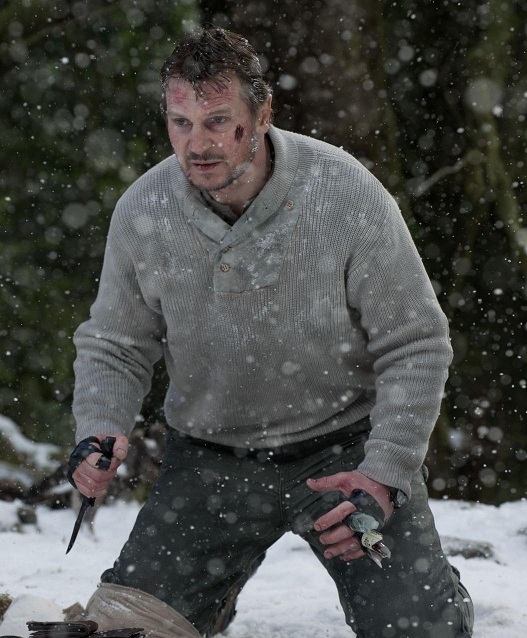 That said, the film is driven by the character of Ottway – and The Grey thus belongs to Liam Neeson in the dramatic sense. 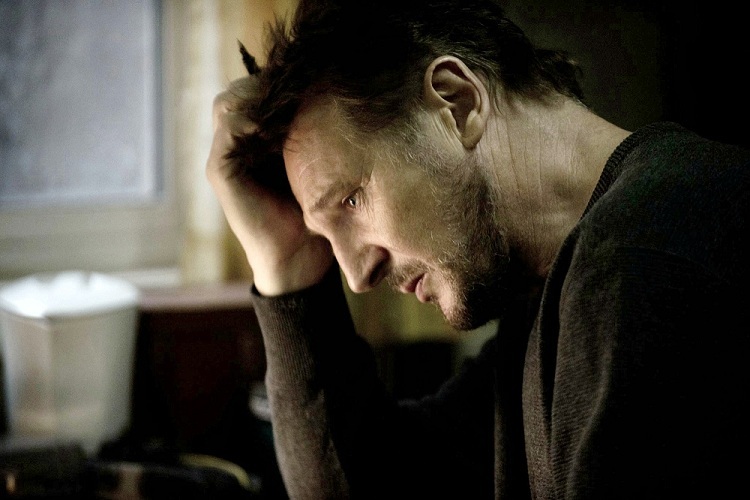 Neeson has made an impressive showing in what is turning out to be a resurgence of stardom and he easily manages the sense of masculine gravitas that has been his calling card since Taken. However, he really challenges that persona with his work here: like Carnahan, he is interested in exploring the doubt and the pain under the manly facade and he does so in a fearless and incisive manner. The fact that he achieves this without outsized theatrics or teary melodrama only makes his achievement that much more impressive. In short, The Grey is not exactly what it has been marketed to seem – but the results are much more challenging and interesting for the ambitious viewer. Carnahan has created a work of existential machismo that would likely make Sam Peckinpah or Robert Aldrich smile. The multiplex doesn’t deserve movies like this. Glad to hear you liked this one. It’s my favorite of the year thus far.